JAWS fans from around the world descended upon Martha Vineyard (aka "Amity Island") to kick start JAWSFEST: The Tribute on Thursday, August 9, 2012. The annual, four-day, fan-driven event takes place August 9-12, 2012, to celebrate the legacy of Steven Spielberg's film and how it has impacted the lives of those who came to Amity in 1974. The tribute event also pays homage to the men and women of JAWS who have passed with a special focus on Peter Benchley, Roy Scheider and Robert Shaw. The event coincides with Universal Studios' 100th Anniversary celebration and the August 14th release of JAWS on Blu-rayTM. 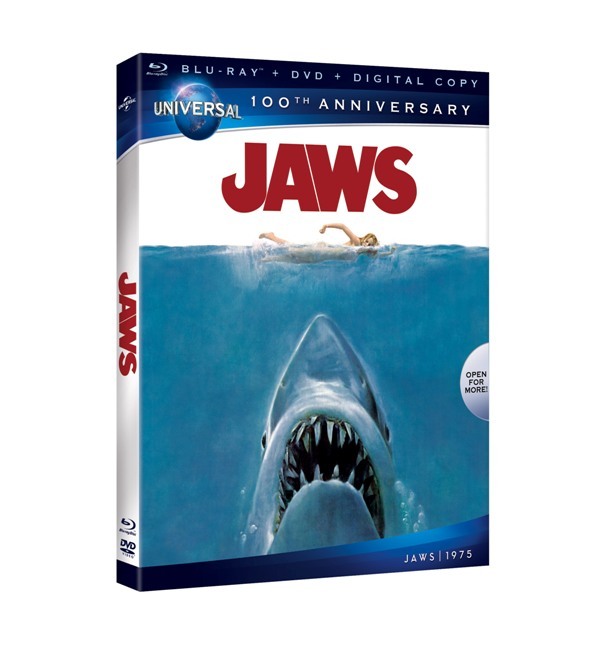 Featuring an all-new, digitally remastered and fully restored picture, as well as 7.1 surround sound, the JAWS Blu-ray™ includes over 4 hours of bonus features including an all-new documentary "The Shark is Still Working."